Did you know that January is National Oatmeal Month? 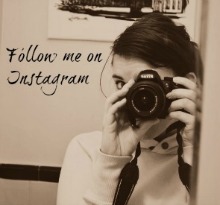 Don’t worry if you didn’t, I just found out a few days ago! Whether you knew or not, it’s never too late to celebrate this healthy food by indulging in a bowl for breakfast or having a cookie for dessert! 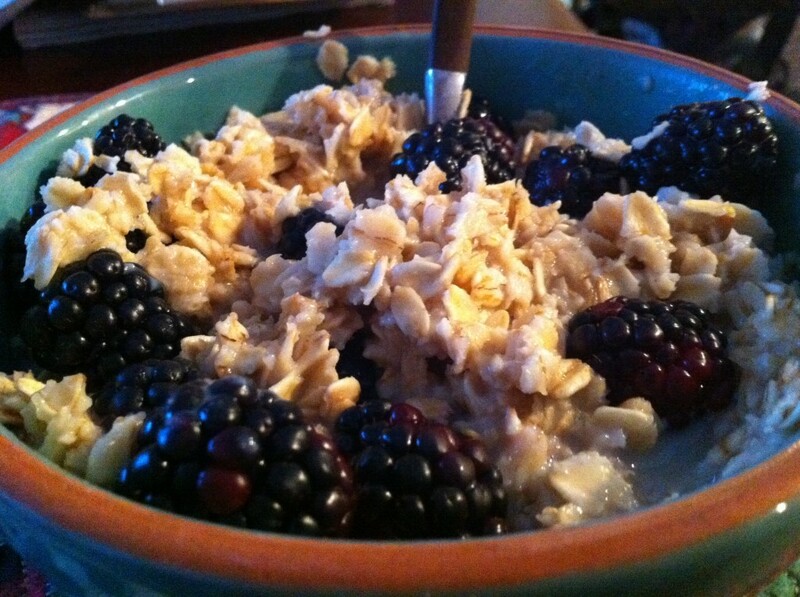 I like morning oatmeal with fruit [like blackberries], brown sugar, almonds or walnuts and almond extract. I call it “the kitchen sink cereal.” Sounds weird, right? It’s so delicious though! So why does this common breakfast food have a whole month dedicated to it? It has amazing health benefits! Oats are full of fiber, can lower bad cholesterol and are full of vitamins and minerals! The insoluble fiber in oats help your stomach absorb more water, which slows down your digestive track. This extra water retention leaves you feeling fuller longer, which can help with weight loss and maintenance. Along with keeping you in your skinny jeans, the chemical properties in fiber [both soluble and insoluble] have been found to help fight off cancer by attacking bile acids which can form cancerous cells. Because oatmeal is high in fiber, eating oats everyday has also been linked to a lower LDL [bad] cholesterol! Studies have also found that oatmeal can help reduce high blood pressure, which is linked to heart disease. Oatmeal is also full of vitamins and minerals that keep your energy level high, your waist line tiny and your insides healthy! 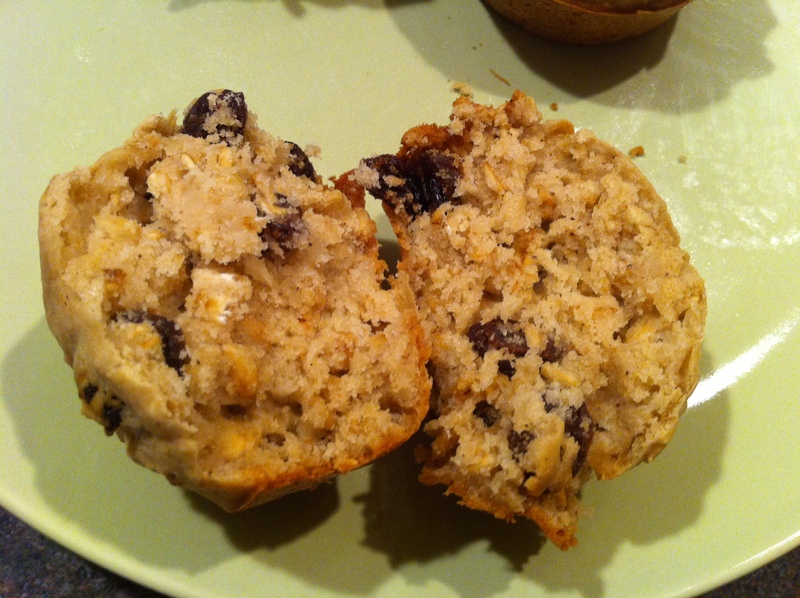 If you can’t stomach the cereal but want to get your dose of these superfoods, try them in muffins [like pictured above], cookies, breads or even on chicken! i am a big fan of oats! try to have them for breakfast at least 3x a week! Love love love oatmeal! I usually trade off what I eat for breakfast, but I always end up eating it 3 or more times a week! I like slicing up an apple into mine with some raisins, small amount of brown sugar, and cinnamon! I'm a big fan of oatmeal. You are so right that it's filling and sticks with me for several hours. I love the addition of berries. Costco sells a big bag of mixed berries that would work well for this breakfast.